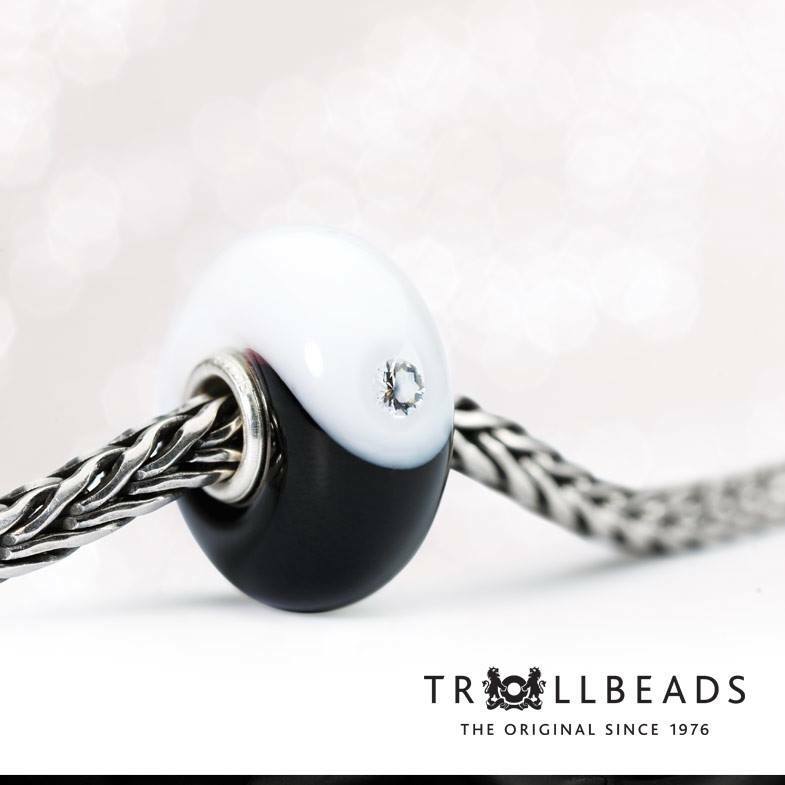 Today sees the unveiling of ‘Perfect Balance‘ for the bead voted as ‘The Missing Bead‘ for Trollbeads People’s Bead 2014 contest. 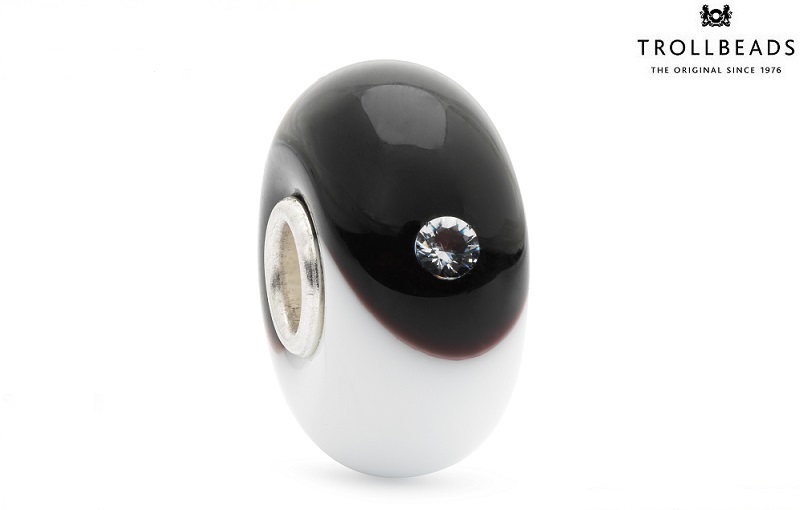 This stunning bead featuring the Yin Yang symbol with two zirconias, is said to have really challenged Trollbeads glass bead makers as this symbol has never before been created in glass this way. Perfect Balance will be officially released on 10th October with a retail price of £35 / €42 / $46. 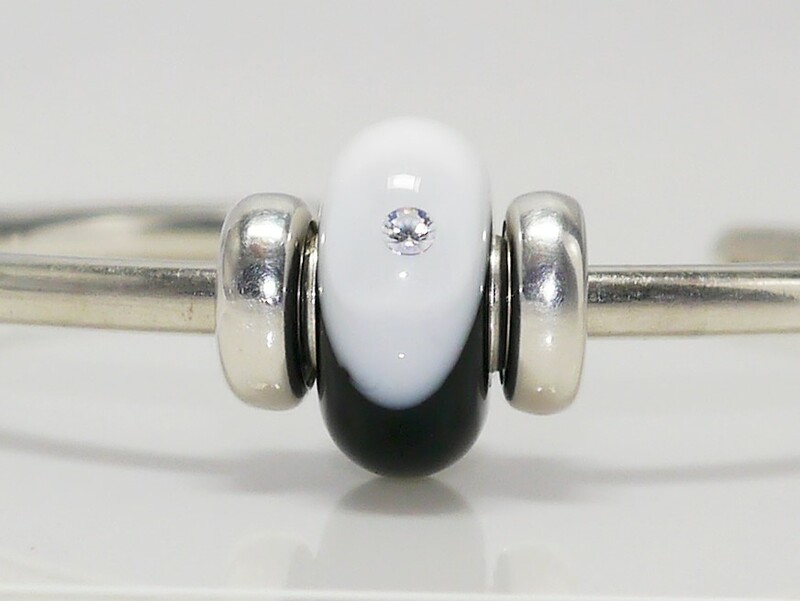 Designed by Mirjam Selling, she has quoted “The inspiration for my contribution to People’s Bead 2014, Perfect Balance, was to create a bead with basic colors that fits with various combinations. The reason I like Yin & Yang so much is the story and meaning behind it. 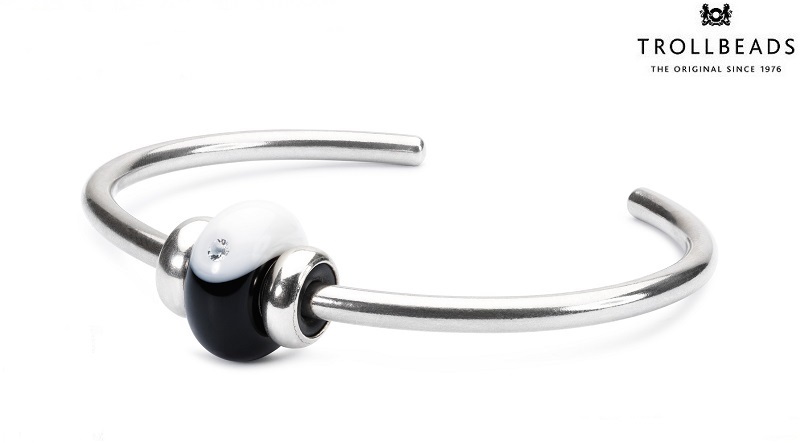 The classic colours and contemporary yet striking design of this bead make it a collection must-have for me. 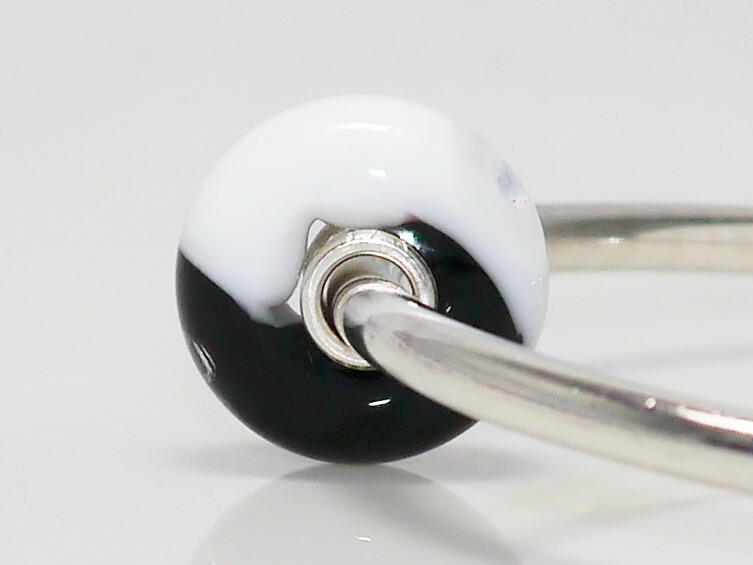 The design is striking enough to be worn on a bracelet or bangle on its own, however its design and colours make it super versatile among any other black or white bead combinations. 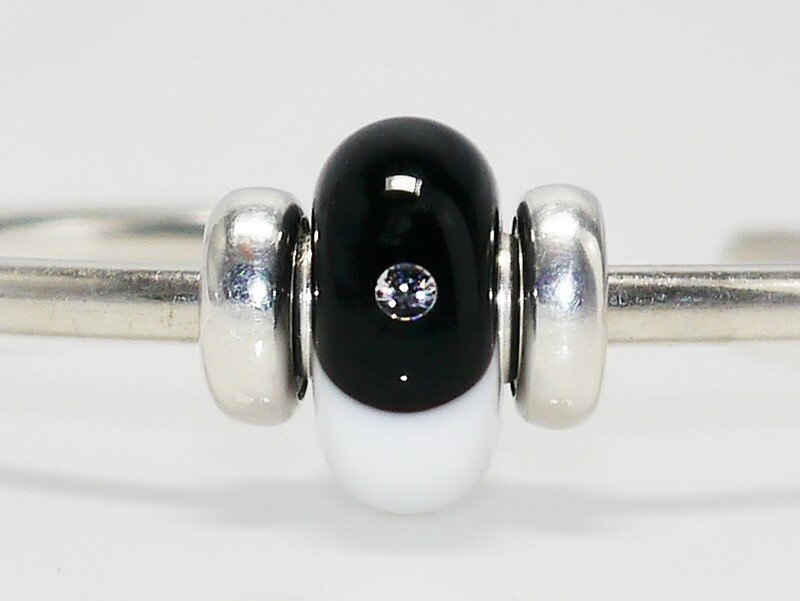 I think it would look fabulous on a simple bracelet with perhaps just the White Diamond Bead, Black Onyx and a few silvers. No one can deny that this is definitely a well deserved winner of the contest!